Derix apprentice presents unique work piece. Each year the Chambers of Crafts, in cooperation with the German Federal Association of Skilled Crafts (ZDH), selects a winner of the crafts performance competition, first by State, following all state winners will automatically participate in the federal competition in November. Marko Simecki, who has successfully completed his three year apprenticeship at Derix Glasstudios, has been declared the winner of the 2016 competition for the State of Hessen in the craft of Glazing and Glass Constructions. 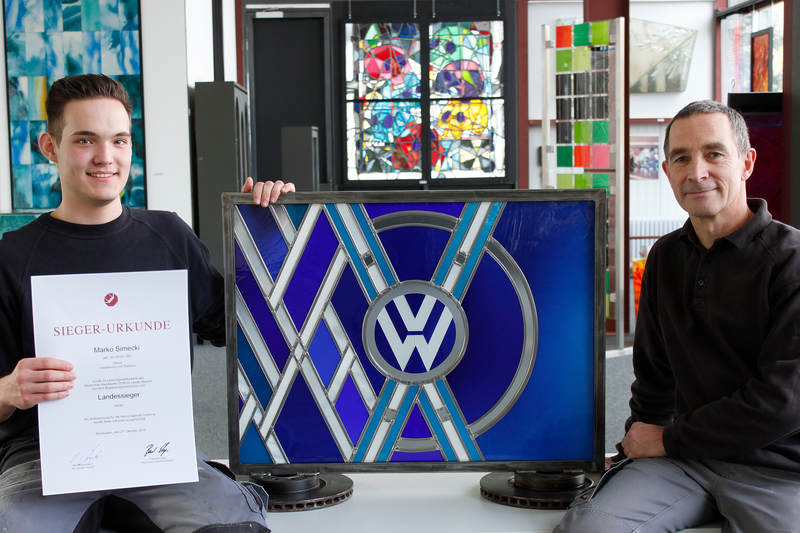 For the competition, he constructed a glass VW logo in blue (the colour of his beloved VW Scirocco) and white. Beside the award certificate, he will have the chance to win a scholarship for professional qualification and development courses. 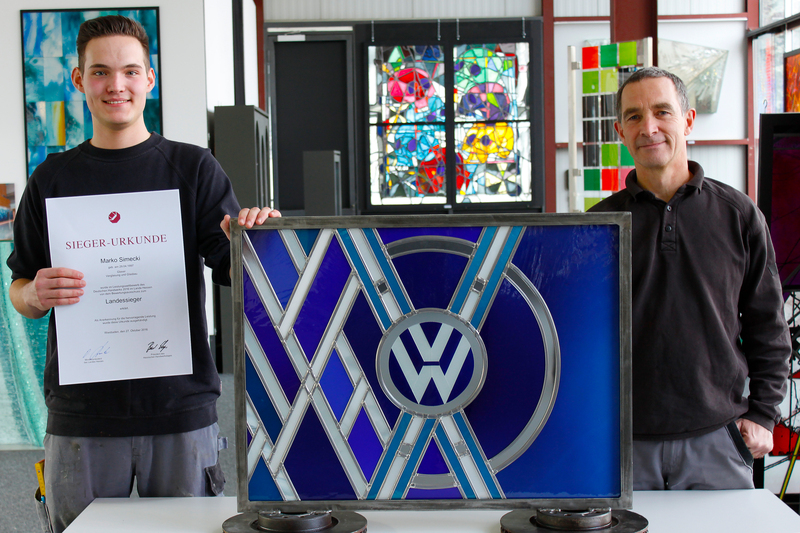 His instructor, Roland Prahl, recognizes his dedication and talent, he showed during apprenticeship and he and the complete team of Derix Glasstudios are congratulating Marko for this great award winning! Marko Simecki with his award certificate, the workpiece and instructor Roland Prahl.